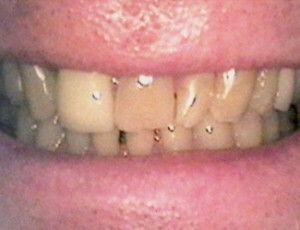 PROBLEM: Yellow, crooked front teeth. 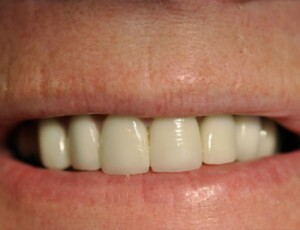 PROBLEM: Dark front teeth including old dark front crown & space between front teeth. 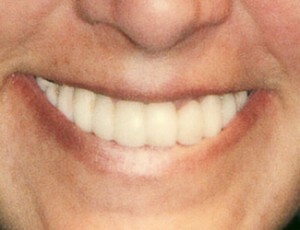 SOLUTION: In-office bleaching (ZOOM!) 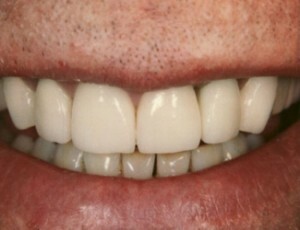 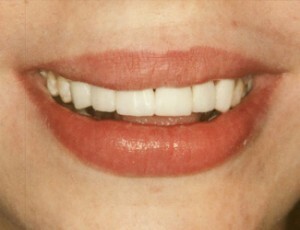 of all teeth and two lighter colored crown to close space. 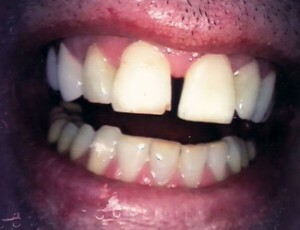 PROBLEM: Cracks in front teeth from softball accident. 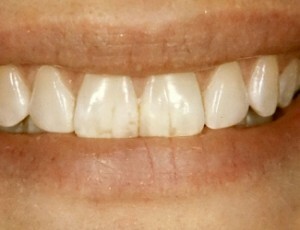 PROBLEM: Cracked old bonding and space between front teeth. 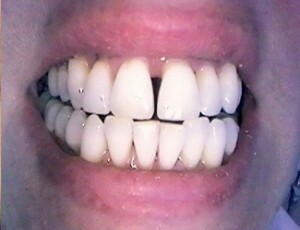 PROBLEM: Two black infected, broken teeth. 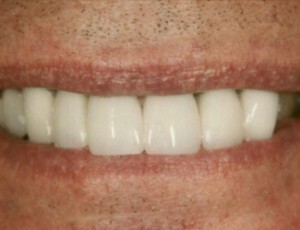 SOLUTION: Extraction of the two teeth, two dental implants and six front porcelain crowns. 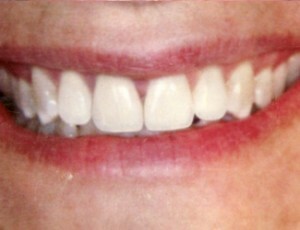 PROBLEM: Teeth are too small- did not show when she smiled. 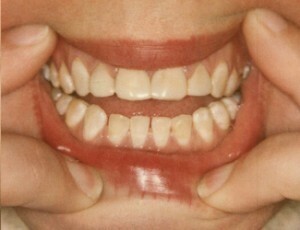 Teeth are also dark from tetracycline medicine she took as a child. 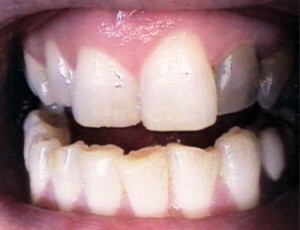 PROBLEM: Gum disease causing spacing and yellow roots showing at the gum line. 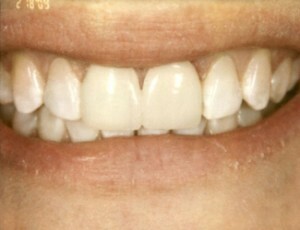 SOLUTION: Perio (gum) treatment and porcelain bridges. 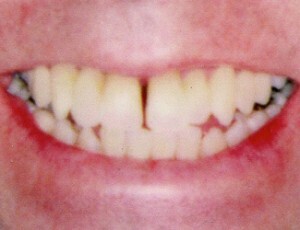 PROBLEM: Yellow teeth & space between front teeth. SOLUTION: In-office bleaching (ZOOM!) 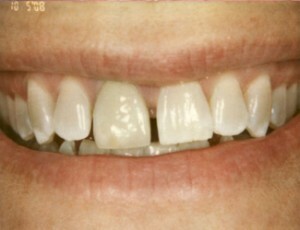 of all teeth and two porcelain veneers for front teeth to close.